Please note, we no longer ship vintage amps. They are local pickup only. Give the store a call for more information 901-729-2466. Up for sale is a cool, clean, and somewhat rare 1968 Fender "Drip Edge" Showman Amp head. Serial number A13754. This was previously owned by the guitarist from the legendary Memphis band, Target. Target had a large Mid-South regional fan base in the early 1970's and opened for Black Sabbath, Boston, and Kiss. Their lead singer, Jimi Jamison, went on to become the front man for Survivor and sang on a bunch of their hits; "I Can't Hold Back", High On You", "The Search Is Over", and "Burning Heart". It has "Target" stenciled on the top. It puts out roughly 85 watts with a set of vintage RCA 6L6 power tubes, nice vibrato, and clean headroom for days. Overall in very good to excellent condition, and sounds and functions great. The transformers are original. Output transformer coded 606816, dating it to 1968. Sweet vintage Fender! This is a vintage 1962 Fender Brownface Deluxe. It is an original Deluxe, not a reissue. 1962 was a great year for music. It's the same year Booker T. & the M.G. 's are formed here in Memphis, TN. The Beatles played their first session at EMI's Abbey Road Studios in London. Mick Jagger and Keith Richards met Brian Jones at the Ealing Club, a blues club in London. And this amp was built. One of the most celebrated guitar amplifiers ever produced, the Fender Deluxe has been in continuous production, in various versions, since 1946. Originally introduced as the Model 26 with a 10" speaker and wood cabinetry, the model was rechristened the Deluxe in 1948, and fitted with tweed covering and 12" speaker. 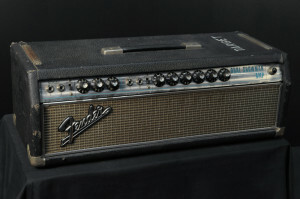 Upgraded to 15 watts in 1954, the Deluxe was redesigned with the lustrous brown Tolex covering in 1961. Produced only until mid-1963, brown Tolex models are among of the rarest of all Fender amplifiers. This is an exceptionally fine example of pre-CBS production. It's so clean it could easily pass as a reissue. This 1962 Fender Deluxe amp features hand soldered point-to-point circuitry, and a classic 12" blue Jensen t speaker. Six knob layout includes Normal and Bright channels, the latter with tremelo Speed and Intensity controls. All original gleaming brown Tolex covering, grille cloth, knobs, foot switch and leather handle. The amplifier has been maintained in uncannily pristine condition and sounds equally amazing. RCA 6V6 power tubes. The handle is a new replacement and the original handle is included. A timeless classic, this brown beauty looks much like it did when it left the Fullerton factory in 1962. Introducing the MESA/Boogie Fillmore 25. Joining the award-winning Fillmore 50, the new Fillmore 25 shows up to claim the bantam-weight class with a compact 6V6 format. Authentic traditional tones abound in this new Fillmore’s popular power range, from clipped cleans, to a purring grind, all joined by the preamp’s higher gain realm delivering blistering tube overdrive like only a MESA can. The 25 also features tube-driven spring reverb that provides some of our lushest, richest reverb to date. Experience the 50's circuit, soul and clip-ability coupled seamlessly with the realm beyond where traditional amp evolution tapped-out in the twilight of the 60s with the new Fillmore 25. Finally, you can have the original Boogie-sized footprint, preamp flexibility to cover any style, and Traditional, old-school dress in the perfect power range! …Tone for days that brings back The Years! 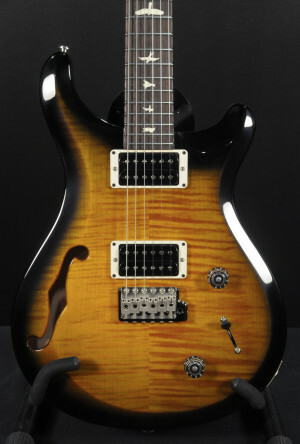 The Premier DC is a powerful double-cutaway semi-hollow with exceptional tone. Driven by double Seymour Duncan Designed humbuckers, its bold mid-range and glassy high-end provide perfectly balanced output. And with cream binding, a maple top, and Chrome hardware, the DC's aesthetic is remarkable. Equally suited across genres, the Premier DC's tones are as diverse as they are rich—from round, clean jazz to bright, searing rock.